Gaming and esport keynote speaker and adviser, with strong focus on the positive aspects gaming and esport has on gamers social & personal development. +15 years in digital sales and marketing. +5 years in building SAAS start-ups. +8 years in inspirational talks and motivating. +3 years in spearheading all esport activities. Developing and implementing esport tournaments, training, education and events with DGI. DGI currently consists of more than 6,500 local associations and clubs, with more than 1.5 million members. Spread out over 15 regions, each with their own local departments, DGI covers all of Denmark, as well as a small part of northern Germany. The why. Martin believes that people, of all ages, who love gaming and esports, should have the opportunity to join a club, be part of their local community, make new friends and grow as a person and player. The agenda. Martin wants every sports club in the world to offer grassroots esports and gaming activities, and have municipalities plus governments support grassroots esports. The how. Martin works with sports clubs and brands/sponsors. He develops in-depth strategies and plug-and-play plans for sports clubs and brands /sponsors. This makes it simple for clubs all over the world to build grassroots esports divisions. And helps brands and sponsors to maximum brand activation and ROI, when investing in grassroots esports clubs. Speaking. For several years Martin has traveled in Denmark and abroad and shared his experiences with the positive benefits of gaming and esports. With a special unique focus on; social learning, communities and personal development. Inspiration. Martin shares articles, books, podcasts and video about gaming and esport. Adviser. Martin advice several initiatives, organizations and agencies, with different areas of esport and gaming. International grassroots esports entrepreneur and opinion leader Martin Fritzen knows all about success in esports. He founded Denmark’s biggest esports club and is now spearheading all grassroots esports activities at DGI, an organization with more than 6,500 sports clubs. Martin’s talks are dynamic, informative, enjoyable and entertaining. Martin has a unique ability to tailor make each talk for his audience. 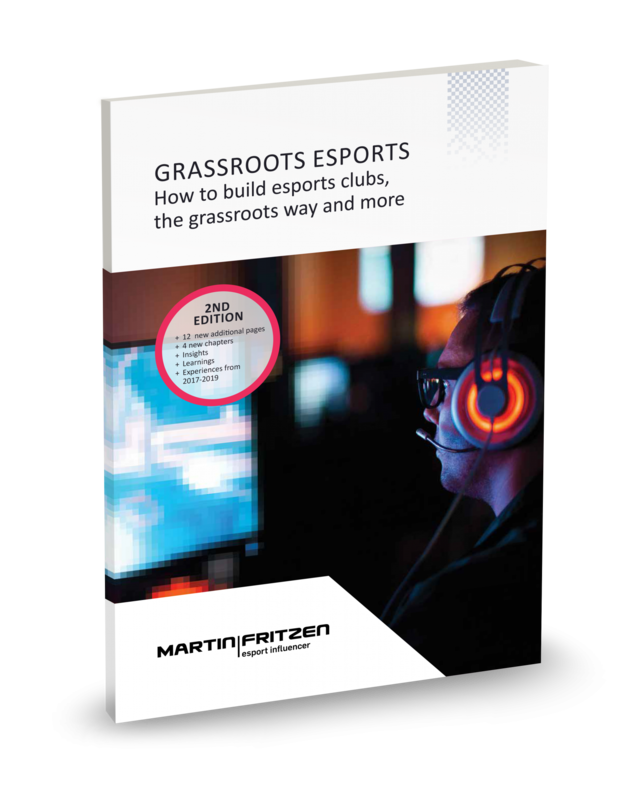 He presents a series of real life experiences, great ideas and strategies mixed with facts, insights and practical proof-of-concepts that listeners can apply immediately to work with grassroots esports.